What a great idea! 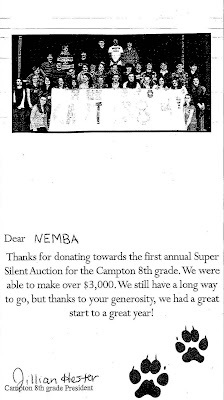 Barry Greenhalgh recently offered up his services as a hired guide for any of our maintained trail systems for the Campton Middle School Super Silent Auction to benefit the 8th Grade class. We get to do what we love to do, we raise awareness, and raise some money for a great cause!